I'm incredibly excited to announce that today I'm guest blogging over at Food52, one of my favorite food sites ever. I've writing over at the site's Small Batch column, which is chock-full of recipes for small batches of foods traditionally bought at a store or restaurant. In this case, I'm sharing a much beloved recipe for homemade sprinkles, which has been my secret weapon behind baked goods like these confetti cookies or this funfetti layer cake for my birthday several years ago. WOW, this is the coolest idea!! 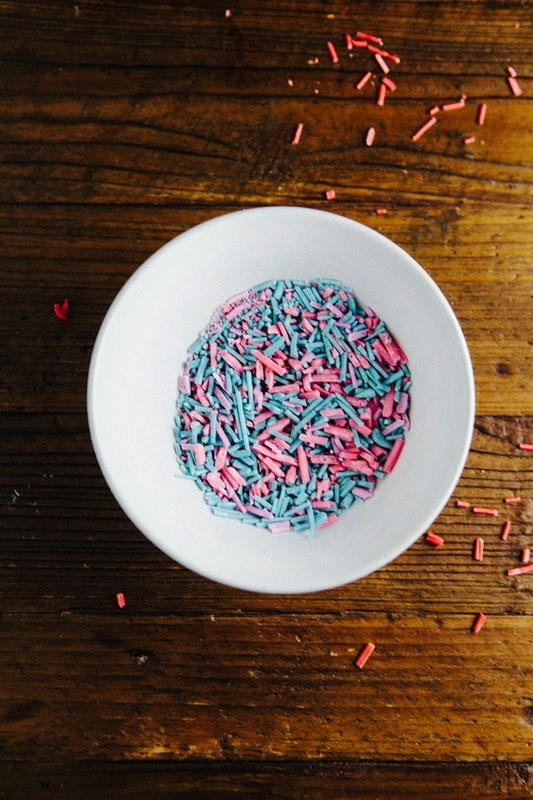 My mother-in-law makes meringue frosting every Christmas for cookies and always empties the rest onto wax paper then lets them dry and they're kind of like (weird) candy... but I'd never thought of the strips for sprinkles! Cool! Wonder if this would work with some natural sweetener like finely powdered coconut palm sugar... fun! these look great and are such a fun, unexpected spin to incorporate into a dessert. love your photos and perspective! This is awesome! This is a great way to use up some food coloring or make your own colors so that you don't have to go hunting down a particular color! 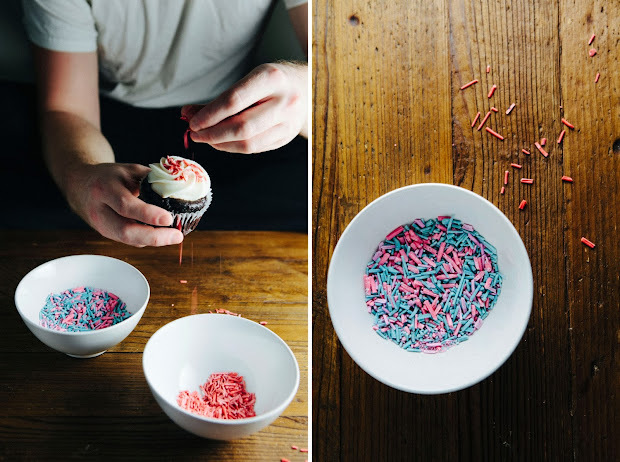 Thanks for sharing this, I'm going to have to give making my own sprinkles a try!